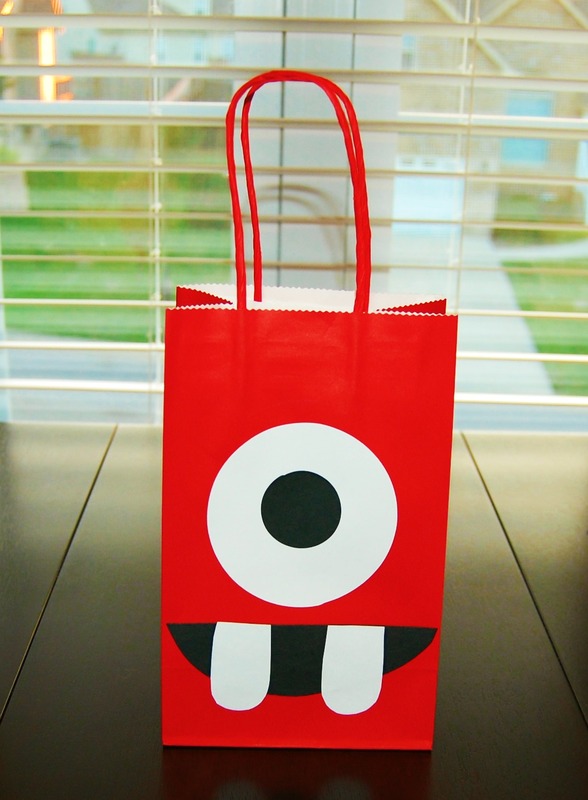 Here is my Muno Goody Bag that I made. To make this bag, you just need 1 large white circle, a smaller black circle, two white teeth, and a black mouth. So easy to do! I get so excited about making goody bags, because I just love filling them up with all sorts of cute stuff. 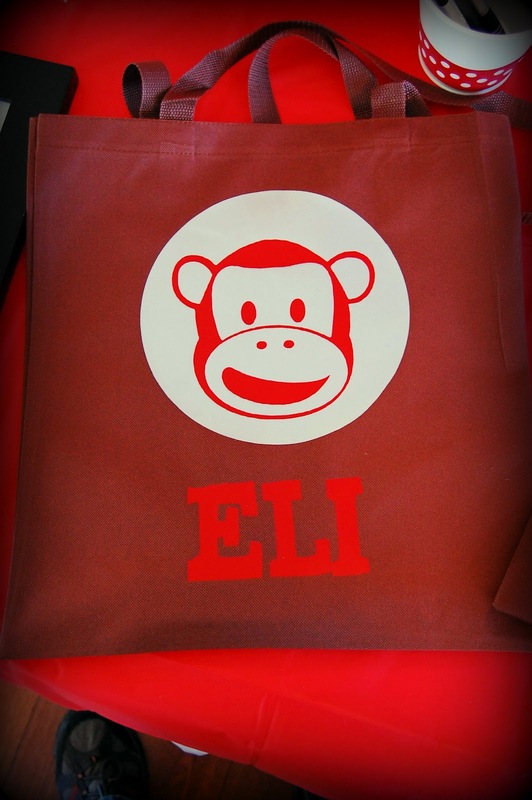 Last year, I made personalized goody tote bags, but that was way too much work. So, this year I opted for the easier route.